Utility grade electric submeters which provide the highest accuracy to help ensure all of your utility data is captured. 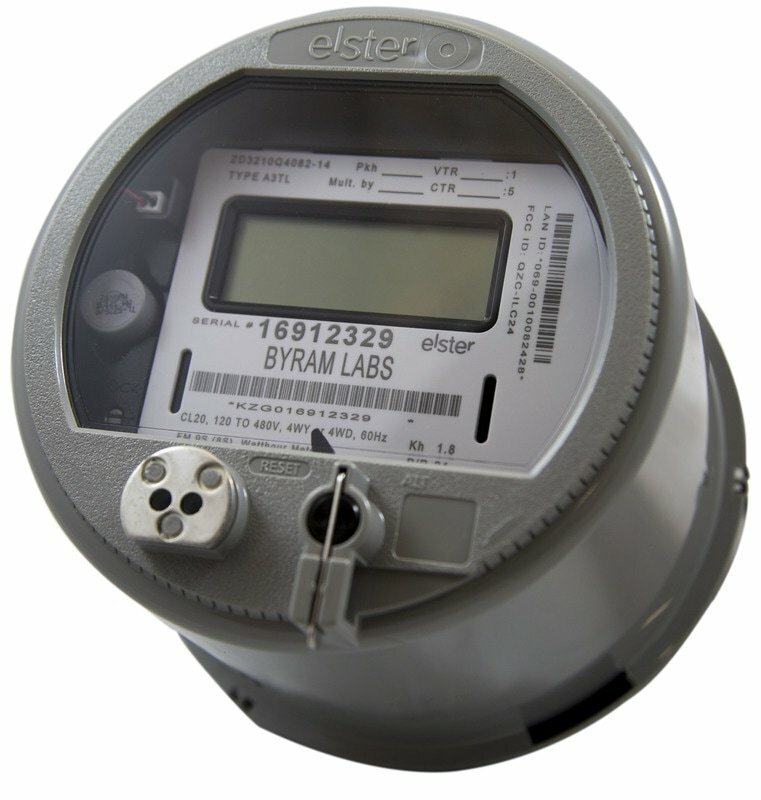 The “Byram” electric meter is a very accurate revenue meter (0.2 accuracy Class) with communication options of pulse output as well as radio frequency board. The meter provides advanced four quadrant revenue functions, transformer and line loss compensation, and increased data profiling without adding hardware option boards. The main circuit board has nonvolatile memory for storing load profile, data logs, and self read data. With instrumentation profiling, each meter becomes a powerful data collection tool to monitor data and diagnose problems without installing expensive temporary monitoring equipment. This meter is installed using split core currently transformers for reduced installation time. 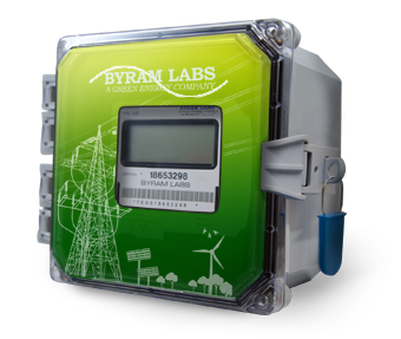 The “Byram” electric meter is a very accurate revenue meter (0.2 accuracy Class) with communication options of pulse output as well as radio frequency board. The meter provides advanced four quadrant revenue functions, transformer and line loss compensation, and increased data profiling without adding hardware option boards. The main circuit board has nonvolatile memory for storing load profile, data logs, and self read data. With instrumentation profiling, each meter becomes a powerful data collection tool to monitor data and diagnose problems without installing expensive temporary monitoring equipment. This meter is installed using split core current transformers for reduced installation time. The Rex2 electric meter is a utility grade meter that installs directly into meter sockets. The Rex2 meter has many enhancements designed to support emerging needs of smart grid initiatives. 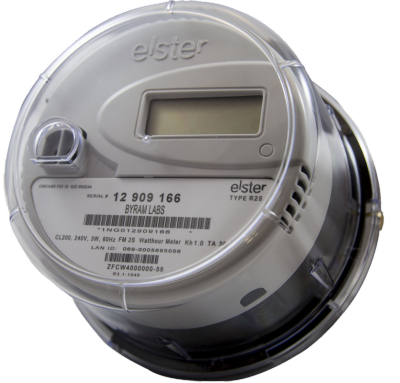 The meters include enhanced memory, greater security, remote firmware updates, and additional capabilities to support smart grid needs such as outage and voltage monitoring. The Rex2 platform is both a smart metering endpoint and gateway into the home supporting both 900 MHz and 2.4 GHz ZigBee communications. The A3 electric meter is a utility grade meter that installs directly into meter sockets. The A3 meter has many enhancements designed to support emerging needs of smart grid initiatives. The meters include enhanced memory, greater security, remote firmware updates, and additional capabilities to support smart grid needs such as outage and voltage monitoring. 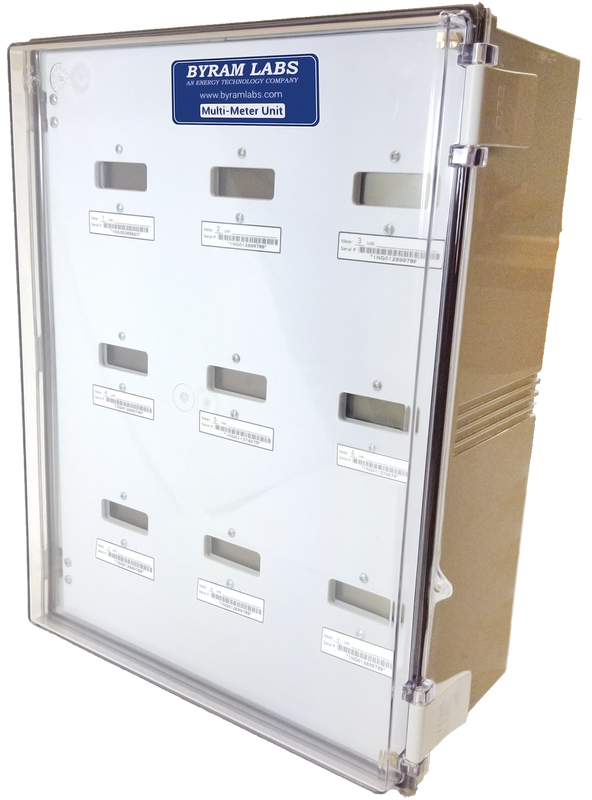 The new Multiple Meter Unit from Byram Laboratories is the newest solution for metering up to nine individual circuit branches or residential apartments. These units have been designed to work seamlessly with building automation systems (pulse output) and the Elster EnergyAxis® platform (wireless). The Byram FT-21 Switchboard Meter provides a complete system for complex energy and power measurement, for all types of electric utility billing requirements. This version of the FT-21 meter includes a switchboard mounting enclosure. Ft-21 meters provide a complete system for complex energy and power measurement, for all types of electric utility billing requirements. The FT-21 is user programmable with standard PC computers and Metercat™ software.